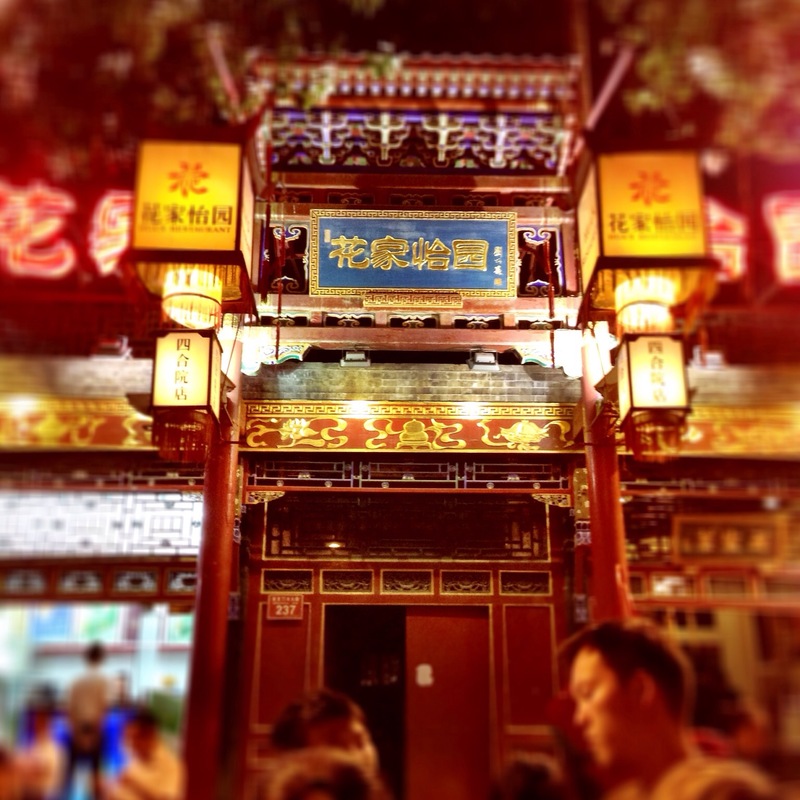 簋街(which sounded like Ghost Street) is the quintessential foodie haven when you come to Beijing. 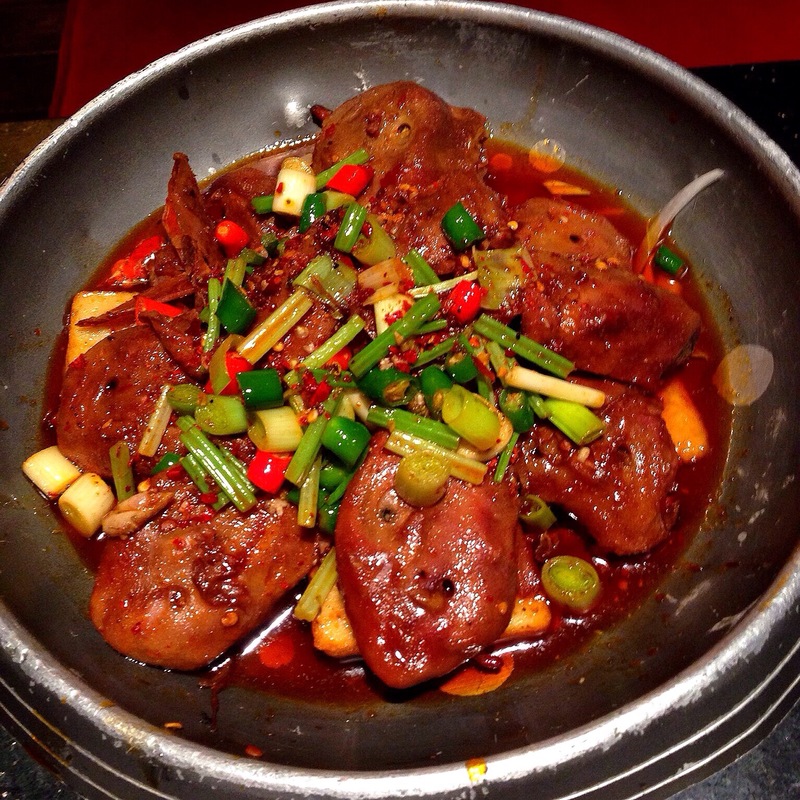 Beijing is not well known for any school of Chinese cuisine, but being the capital, boast the biggest concentration of authentic regional cuisines of China. Front entrance that leads into a traditional courtyard called a 四合院. This used to be an official residence. 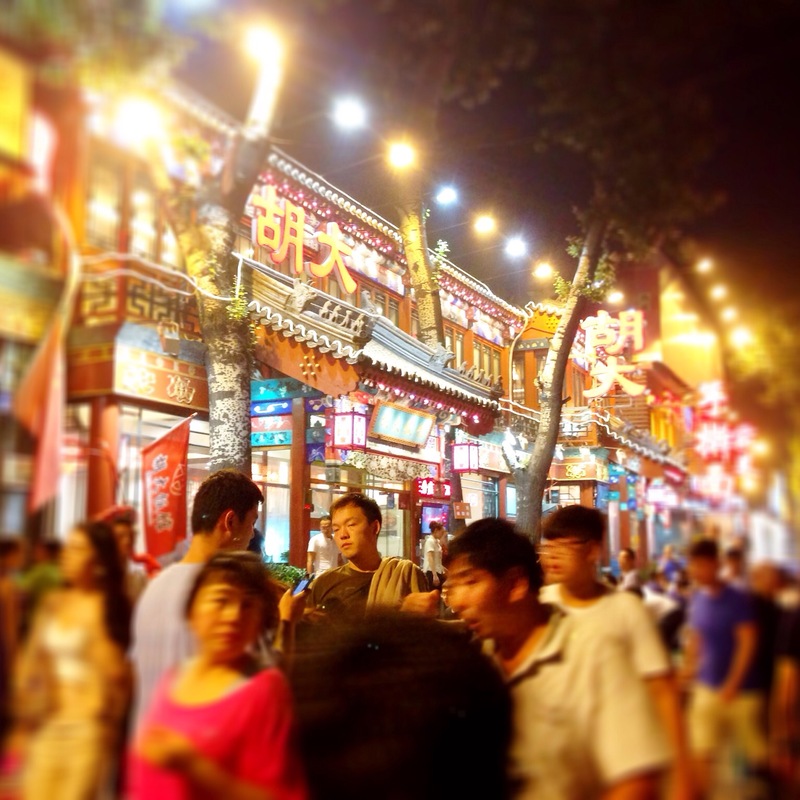 Street view of GUI street. 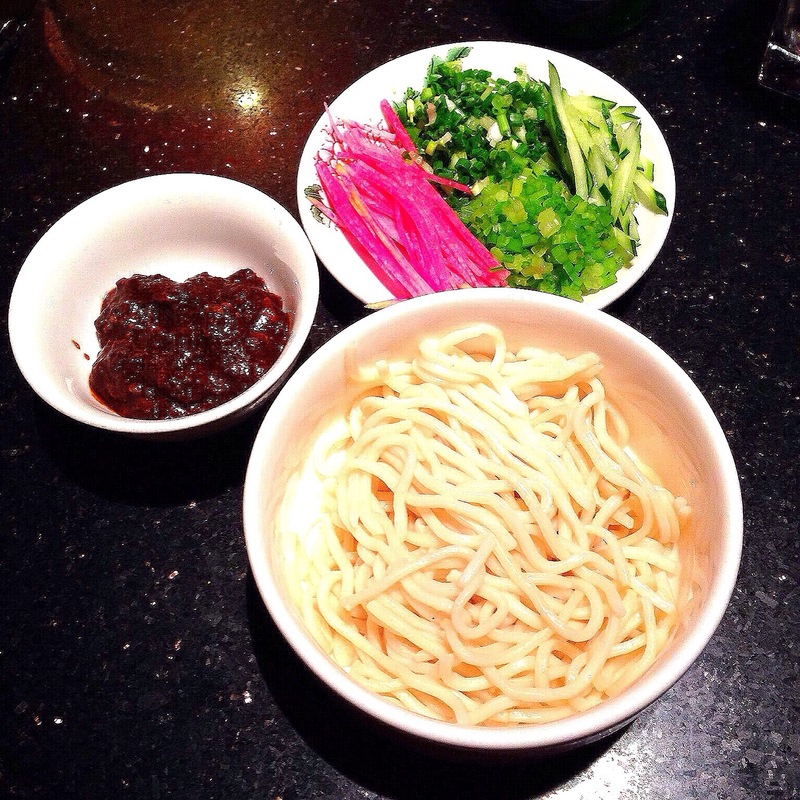 北京炸酱面 Beijing bean paste noodle. Put everything in a mixing bowl and mix well. Enjoy! The sauce in this restaurant was quite standard. The meat was chunky and I would have hopes for it to be more minced. 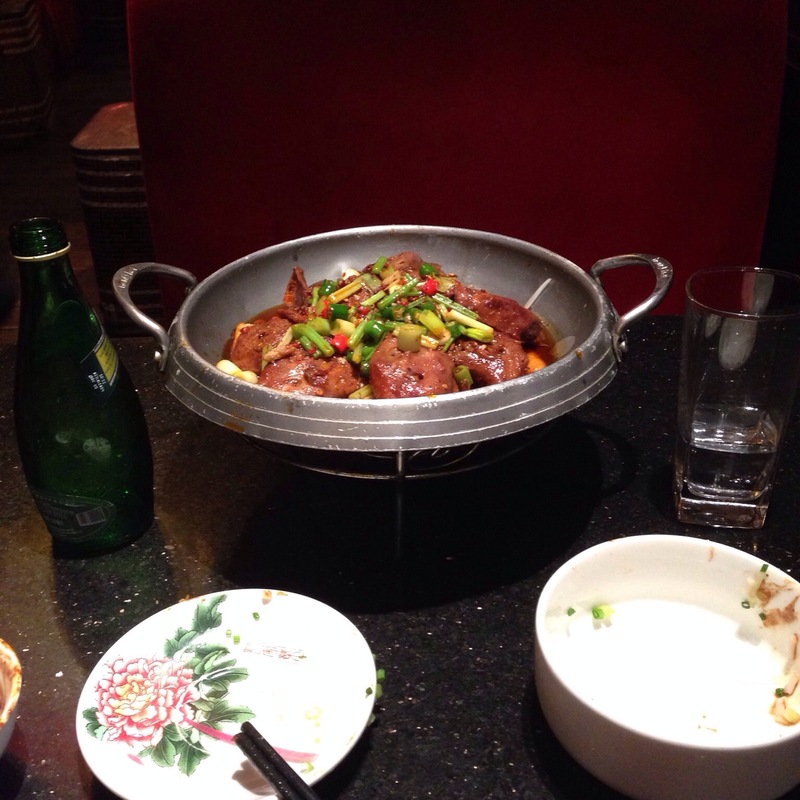 Again it was quite big dish. 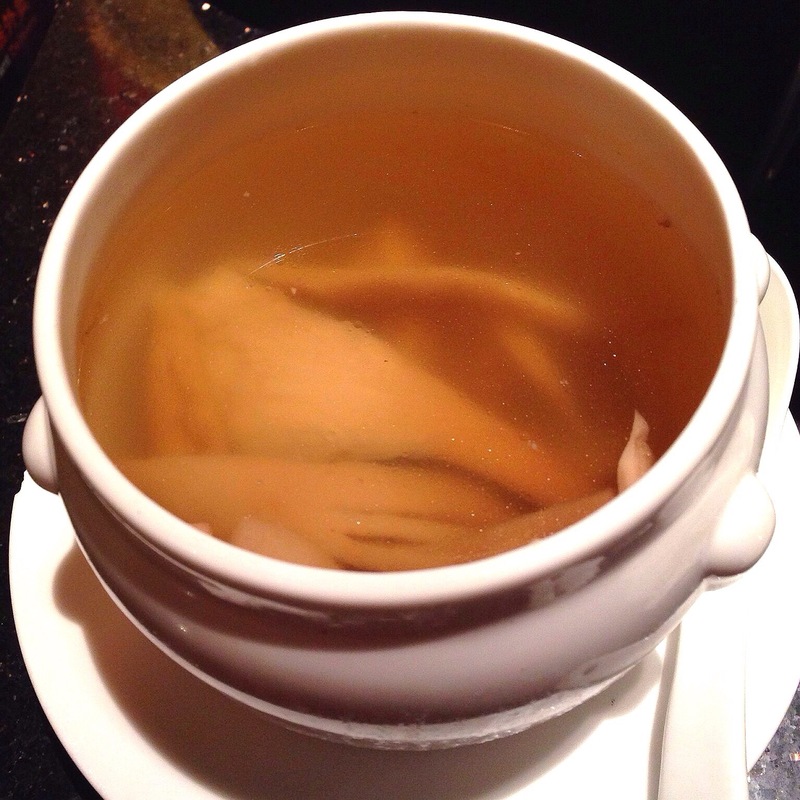 Double boiled pigeon and mushroom soup. 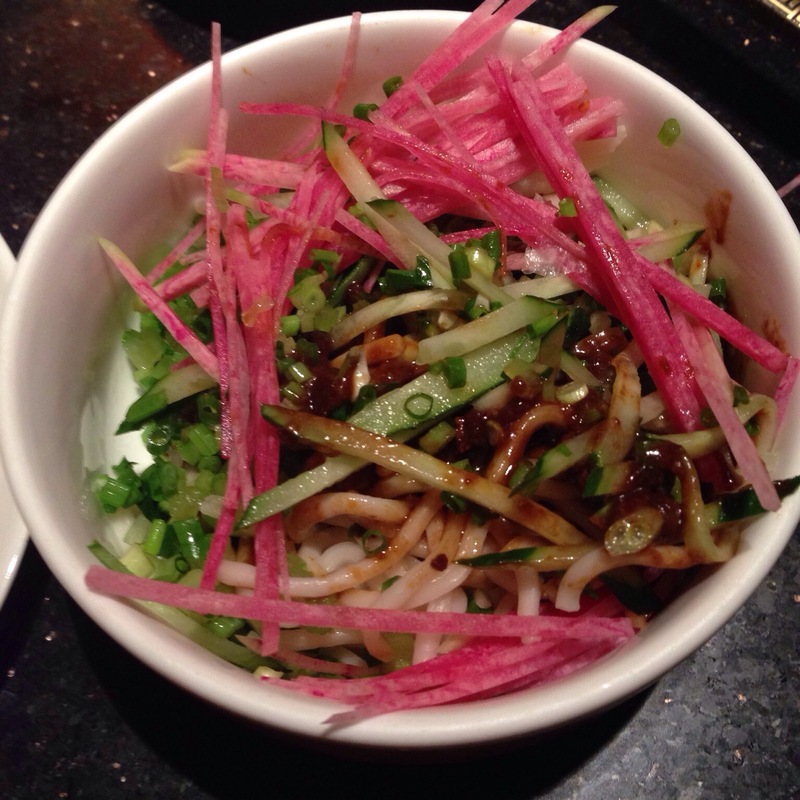 It was a very light soup and has 降火 reducing heartiness property. When you have all the Szechuan spices, this soup is highly recommended. 十三香 thirteen fragrances. 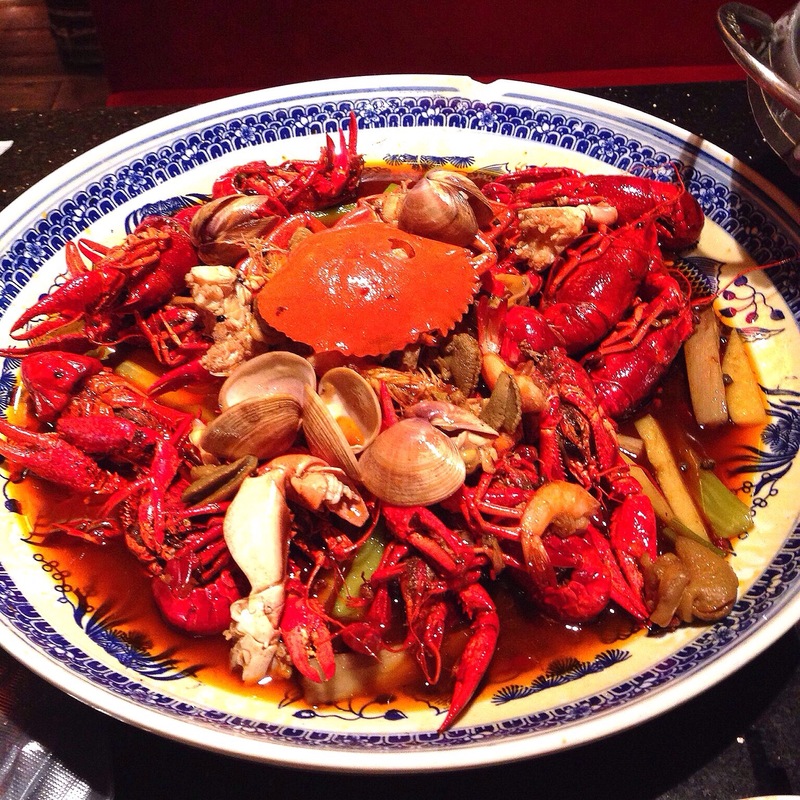 It was a dish made up of these yabbies, mud crab, prawns, clams, chicken livers and gizzards, all tossed in a mala Szechuan sauce. 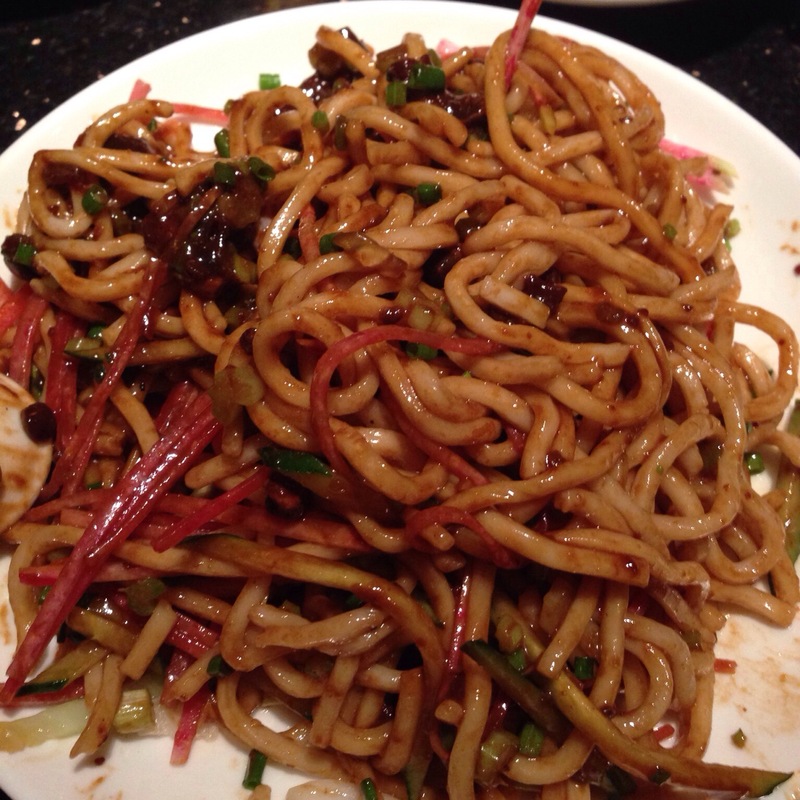 Not for the faint hearted, it was a very spicy dish.